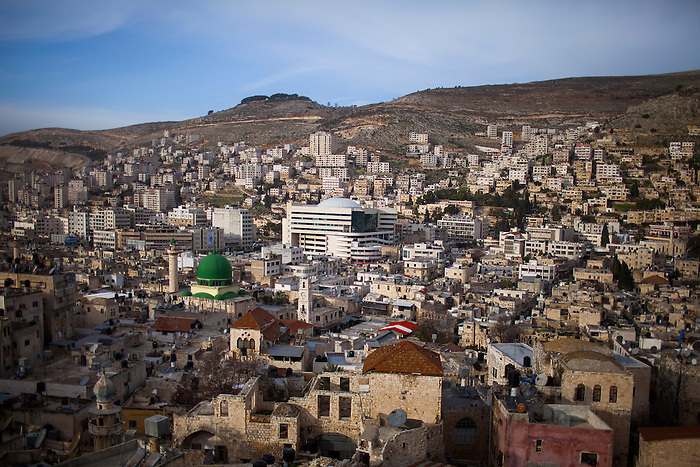 Jan 2013, Nablus city center: in the foreground, the old city, which is still standing despite the heavy damages endured during the two intifadas. In the middle, a giant mall center and multiplex cinema. In the background, the newer part of the city with towers. Like every developing city in the world, buildings are built always higher: but in Palestine, the height of estate is even more pushed by the land prize: in the 84% (B and C zones) of the West Bank, building requires permission from the Israeli army, almost never granted. Therefore the A zones (such as Nablus city) are the only part of the territory left for serious estate project, which prizes raise disproportionally every year due to the demographic pressure and the impossible territorial expansion.